Wickless & Polished! : Yoga? That's Just Too Much Work! But my fresh new OPI mani wasn't too much work! I introduce OPI's Yoga-ta Get This Blue! This is 2 coats and it came out amazing. 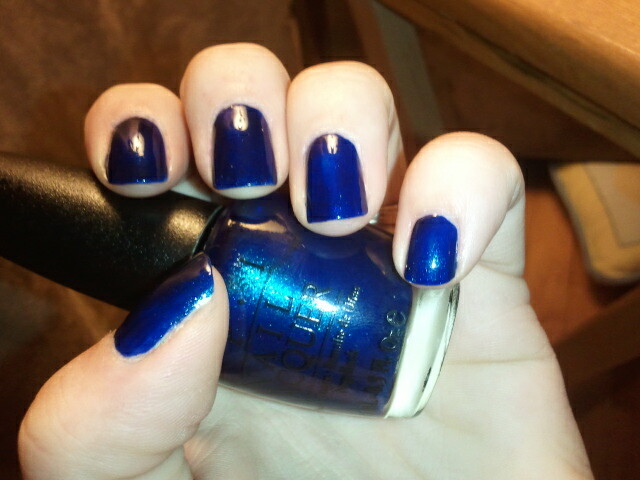 In regular light, its so dark blue, it almost looks black. 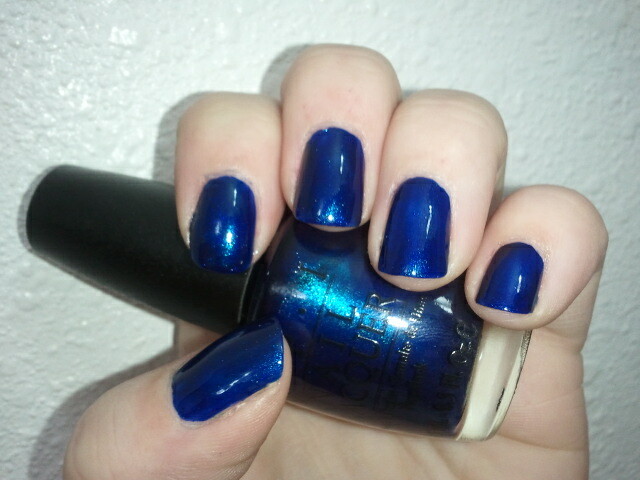 But with a flash, it brings out that gorgeous sparkle and shines a brilliant blue! Kinda reminds me of paint on a car with the hidden sparkles in it. This is one of my favorite blues; I wore it to my company's holiday party last year.